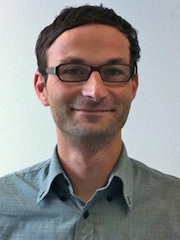 Dirk Sachse is a principal investigator in the International Research Training Group "StRATEGy" and heads a Research Group and the Organic Surface Geochemistry Lab at GFZ Potsdam. He applies organic geochemical methods, including compound-specific biomarker stable isotope analysis and high-resolution mass spectrometry to develop a process understanding of the organic carbon cycle and past abrupt climatic changes. In particular he is interested in the interactions between earth surface processes, tectonics the carbon cycle and climate. Major research topics include understanding the drivers, feedbacks and effects of past abrupt climate change on ecosystems, the hydrological cycle and earth surface processes as well as constraining carbon cycle budgets in modern fluvial systems. He holds an ERC Consolidator Grant (STEEPclim) to study spatiotemporal hydrological changes in Europe during the Late Glacial period.